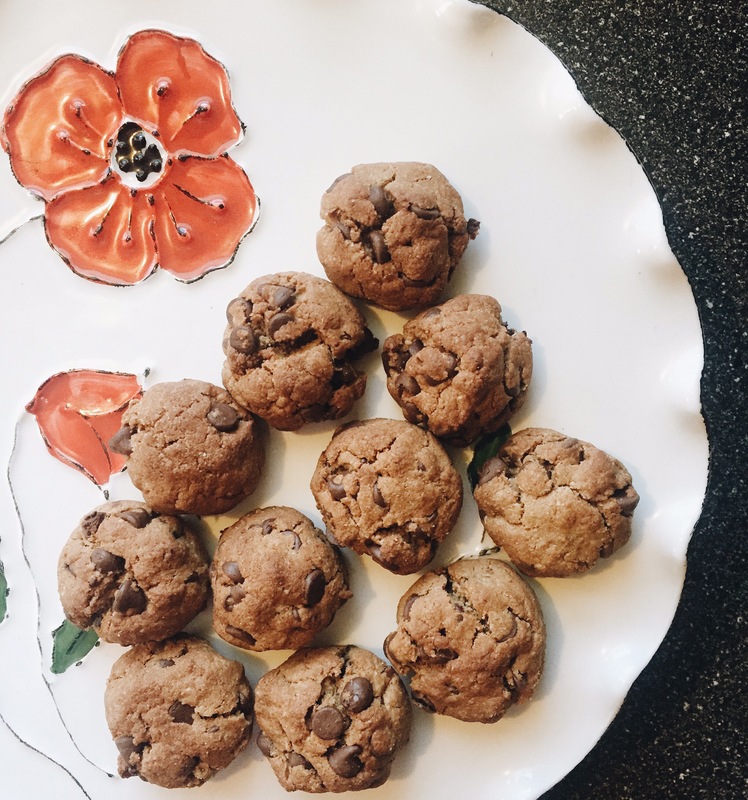 Holy moly, over the weekend I found the most amazingly delicious chocolate chip cookie recipe and I knew as soon as I tried my first bite that I had to share it with y’all! I found this recipe on Pinterest (I snapped a picture and can’t remember the source, sorry 🙊🙈) I’m constantly searching for no junk added, gluten free cookie recipes (call me crazy) and I finally found one that sounded good with reasonable ingredients; meaning few and nothing crazy! 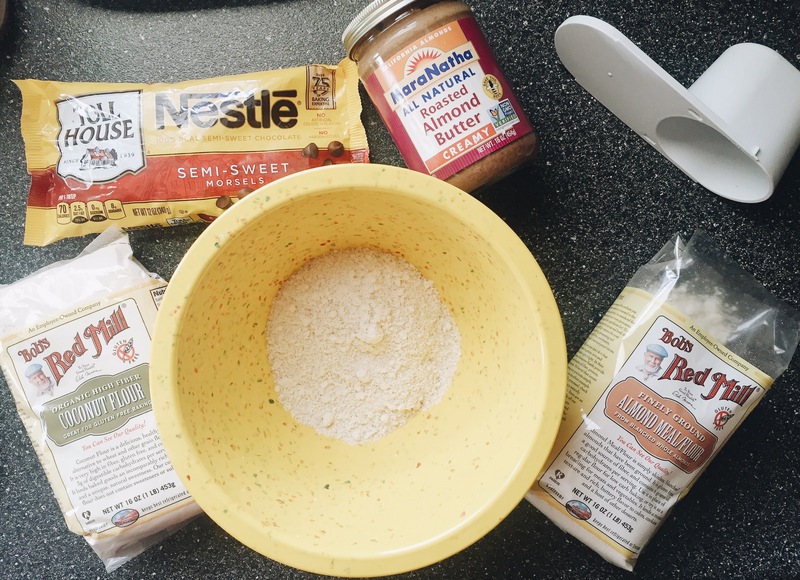 Adding all of the dry ingredients in a large mixing bowl, stir together than add vanilla and egg. Add almond butter (or any nut butter, it’s whatever you prefer) and blend with a power mixer. Fold in the chocolate chips. 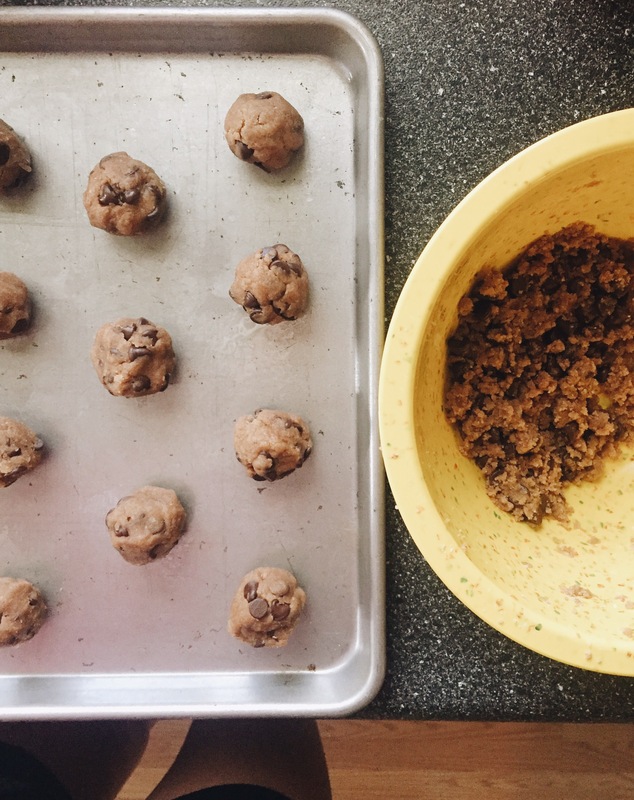 If you aren’t a chocolate chip lover, add in a dried fruit like cranberries! Roll in a ball and place on a cookie sheet sprayed with a non-stick spray (I used spray coconut oil). Bake on 350 for 13-15 minutes. Serves 18 cookies.